The Board of Trustees announces that Tyler L. Lewis will be the next Head of Kimball Union Academy, effective July 1, 2019. We welcome Tyler, Renee, and family to The Hilltop! I am pleased to announce that Tyler L. Lewis, currently the Head of Bishop’s College School in Sherbrooke, Quebec, has accepted the invitation of the Board of Trustees to be the next Head of Kimball Union Academy, effective July 1, 2019. This appointment is the result of a long and thoughtful search that commenced in August when the Search Committee launched a national and international effort to recruit the strongest and best-matched candidates to our school. From an initial pool of more than 70 educational leaders who expressed interest in the position, the Search Committee eventually reduced the pool to nine candidates who were invited to confidential interviews over the weekend of October 20-21. Following these interviews, three semi-finalists and their spouses were invited to visit the school where they met with students, faculty, staff members, parents, administrators, and trustees. On November 11, the Search Committee unanimously selected Tyler Lewis as its nominee to the Board of Trustees and on November 13, the trustees unanimously accepted the recommendation. In two days on campus, Tyler quickly impressed the search committee and full community with his personal and professional alignment with the engaging, student-centric culture of KUA. Tyler began his career in education twenty-five years ago as a teacher of mathematics, coach, and dorm parent at Blair Academy in New Jersey. After five years at Blair, he spent a year at Harvard University pursuing his MEd and on the coaching staff of the Harvard women’s varsity hockey team. He then spent five years as an educational consultant with Carney Sandoe and Associates before moving on to Holderness School where he spent nine years as Director of Enrollment Management. Tyler’s roots are in northern New England, as he grew up and attended public school in Waterville, Maine. He holds a BA in Economics from Colby College and a MEd in Leadership from the Harvard Graduate School of Education. 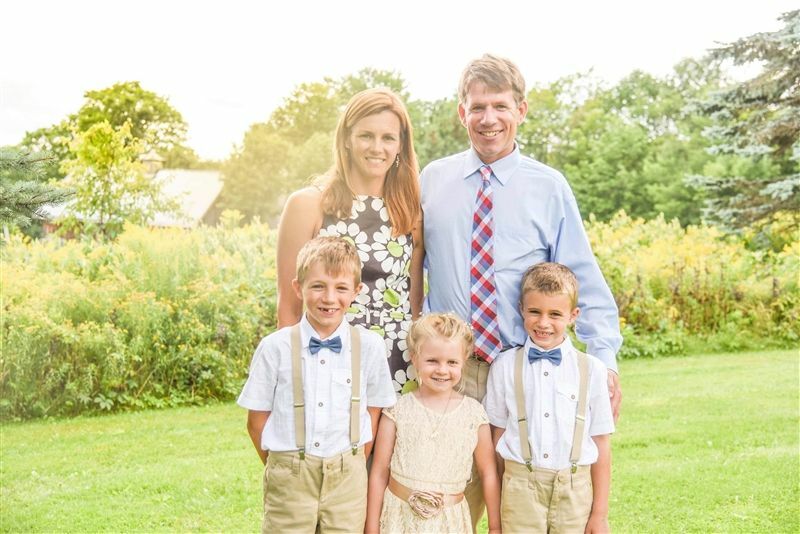 Tyler and his wife, Renee, who was a teacher and coach at both Holderness and Concord Academy, have three children, Benjamin (9), Finnegan (7), and Hadley (5). They are an active family enjoying the outdoors, mountains, good books, and time at the heart of the communities where they live. For many years, we have admired KUA from afar and known it as a school where both the students and adults are thriving and a commitment to excellence defines expectations. As I shared with the students on our visit to campus, the opportunity to work at KUA and join the high-functioning team of a thriving school community is tremendously appealing professionally. However, our connection runs much deeper and comes from a desire to live life on The Hilltop and steep in the relationships, as we collectively build the vision and implement the plan for the next great chapter of our school. As a family, we are honored by and grateful for this opportunity. On behalf of the Board of Trustees, I extend my deep gratitude to all members of the Kimball Union Academy community for your commitment to this search process and for your invaluable and thoughtful feedback. I am especially grateful to Search Committee Chair, Chris Burns '83, and fellow Committee members Jennifer Borislow '78, P'07, '10, Kris Graham P'09, '12, '15, Andrea Stern P'19, Bill Elliott '60, David Allyn '86, P'17, David Pond '64, David Weidman, Don Lowery '73, Erin Mellow, Polly Antol, Joshua Hunnewell, Kevin Ramos-Glew, Molly Bourne Steffey '92, P'20, '22, and Cristina Frias-Gil '19 for their countless hours of dedicated service to this search and our school. We are also grateful for the guidance and support of Marcus Hurlbut and Doug Cummings of Educators’ Collaborative. The selection of the Head of School is one of the greatest responsibilities of trusteeship, and all of us in the KUA family can be proud not only that Tyler, Renee and their family have accepted the appointment, but also that the scope of the search was so extensive and the qualities of the interested candidates so outstanding. We are delighted with the outcome and look forward to welcoming the Lewis Family to our school community. We also know that each of you will, in your own way, extend a warm welcome to Tyler and his family.